At a memorial service after Bobby Fischer 's death in 2008, the Philippines master Renato Naranja recalled how they both competed in the 19 70 Interzonal tournament. One day, after Naranja had drawn with a Soviet grandmaster who was much stronger than him, Fischer told the Filipino he stood better when the game ended. Yes, I know, replied Naranja, but I couldn't see how to win. Fischer said that was no reason to agree to a draw. When you know you have an edge, you just keep playing, he said. "You had the two bishops," Fischer said. "Just move around." This is another major difference between masters and amateurs. Masters want more out of a position. They try to win - and find ways to win -positions that seem unlikely to be winnable. Masters want more. And because of that, they often get it. It sounds too simple but it's true. There are specific ways to emulate masters in this way. But ultimately it comes down to Fischer 's attitude: If you keep pressure on your opponent long enough, if you keep forcing him to make choices - if you keep trying to win -there 's a good chance that you will. This view was also a tenet of the Soviet School. Mikhail Botvinnik's watchword was "Prolong ! Prolong the struggle." Think twice about trading pieces when you have the advantage, he said. Continue the pressure, even if you have to temporarily retreat. Show two experienced players a complex position, and they are both likely to find a good move. The stronger player is likely to find it faster. But he's also more likely to keep looking once he's found it. As good as the move may appear, the master looks for a better one. That often makes the difference of a half-point, if not a full one. There 's another way that a master 's desire for more works for him: He doesn't give up easily on a move he really wants to play. He remains loyal. We saw how this works with a positional candidate in the last chapter. If a master really likes the positional features of a move he will try to find a tactical justification. The same goes for a tactical candidate move. Psychologists have found, through experiment after experiment, that people have stronger feelings about losing than about winning. Economists, who also analyzed this phenomenon, gave it a name, 'loss aversion '. And experienced chess players know it as the curious feeling that the joy of winning a game never quite makes up for the pain of losing one. This helps explain why many amateurs fight desperately - and skillfully - in a bad position . But then they relax when they realize the danger of losing is past. 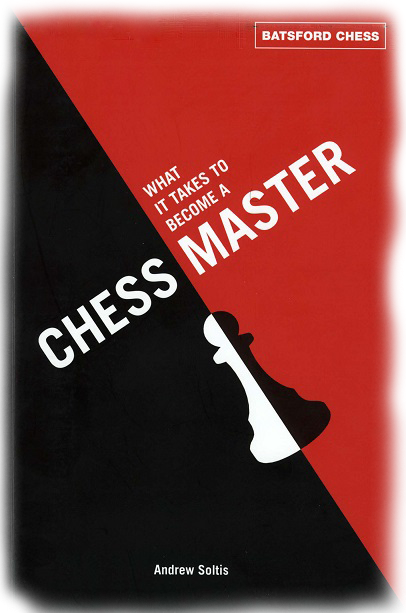 An amateur who survives a strong attack as Black may say, "Good, now I can look forward to playing White in my next game ." A master in the same situation will say, "Good, now it's my tum to play for a win in this game ."